I see a large part of the process of songwriting as experiencing the world, and processing it emotionally so that you can condense it into a relatively clear concept that then communicates those experiences. As a songwriter (and probably as any writer) it's really important to spend as much time experiencing the world as you can, even if “the world” is the fictional world of a book or movie or even a painting. This experience on Koro Island is not only important to me as a retirement plan (the only retirement plan we have unfortunately), but important as a way to be a more emotionally and experientially complete person. Last year I had a vision of the place where Samantha and I will be laid to rest at some point – hopefully long in the future. Well, the other day as we were sitting on a log in a long observation of the ivi trees on our land, I had an epiphany: Here, in the ground amongst those trees was that place from my vision. It was an incredibly positive, beautiful experience. To know where I want to end up, how and where I want to finish my life is something that is indescribably wonderful. I'm unfortunately a very emotionally sensitive person, and my head has been mixed up for most of my life, partly from abuse as a kid, partly from being put on the planet to be a songwriter, which requires putting yourself out there and subjecting yourself and your work to judgment. Music is about sharing, it's about direct communication, but I'm mortified by the idea of being judged negatively. And I absolutely do not having the right personality to navigate the business world, and how do turn your deepest emotions into a product to be sold? This is my life. I certainly won't claim I've got it worse than anybody else, but it hopefully explains why I'm the mixed up, self-critical, highly self-conscious person that I am -constantly full of uncertainty, constantly second guessing myself. The point is, sitting there coming to the realization that this is the place where my life will come to an end, this is the place that was in my vision, a deep sense of spiritual peace came over me. My mixed up mind became completely calm. Unfortunately, the moment passed and then I became very sad. Not because of the idea of my death, but because I realized that most people will never be able to face their own death, even when it's upon them. Death in my culture is a taboo, we don't want to talk about it, or hear about it, and our greatest fear is to come face to face with it. But we will, and I believe that the sooner we can become comfortable with that fact, the sooner we can move on with living our lives. It's amazing how quickly you realize the value of resources and knowledge when you're living out here. I'm so happy that we decided to just camp on our land. We don't really have the money to spend on three months of rent out here anyway, and that's partly the reason for our decision, but that doesn't lessen the value of what we're learning. In “civilization” you turn on the tap and water comes out, you don't have to pray for rain. Out here every drop of water has to be accounted for. Having food resources available is something that you can't overemphasize. I think that many people take food for granted when they've always had enough to eat, but we're learning the true value of a simple diet that comes straight from the land with no middleman. We could buy a bunch of tinned meat and things like that, but learning what food resources are where and when you can get it is endlessly satisfying. We've gotten permission to go onto a few people's property and pick food that would otherwise go to waste. We've learned of a couple spots where people have planted root vegetables on land that no one owns and is not being farmed for market. 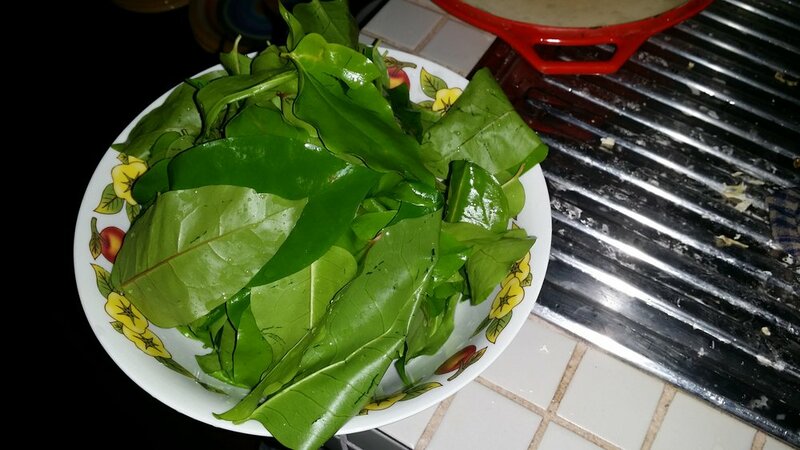 We've also learned a few of the wild foods that exist in abundance here in the jungle. It takes a lot of work to collect and prepare these from scratch, but that only increases the level of satisfaction. It's also a more healthy way of life than buying processed foods or take-out. The ability to fly a tarp and the knowledge of the proper knots to tie to make sure it doesn't fall down is hugely valuable. The most useful knots to learn are the bowline, the clove-hitch, the slip-knot and the truckers-hitch. Luckily I knew a couple of those from my days working in theater and concert production. Having a good knife and the ability to sharpen it properly is important. I've spent hours every day at camp with my knife in my hand. Unfortunately, there is a learning curve to figuring out what tasks to use your good knife for and what can be done with a cheap machete. The machete can be sharpened quickly with a large file, but the knife edge is much more delicate and easy to ruin. I made the mistake of using too rough a grain sharpening stone and had to spend an hour trying to regain the edge I had lost. The point is that when you're attempting to live off the land, your value system changes rapidly. Or at least from a practical standpoint, things become a lot less abstract. You don't conserve water because it's a good idea, but because you won't have any to drink. If a resource you need to survive breaks or runs out, you can't just run to the store and get a new one. Things you might take for granted in civilization, become vitally important.